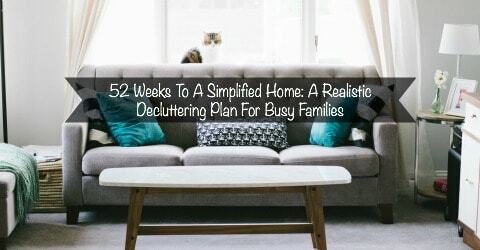 Less than 2o weeks to go on my 52 Weeks To A Simplified Home project. Now that I am this far through I am thinking I might not be able to reach every single corner of our home, but I am certainly going to hit the ones that matter most. All the living areas of our home feel homey again, and soon our master bedroom will once again be the restful retreat it should be. Right now that means continuing work on our walk-in closet. This pile is what I am going to attack today. I decided that the easiest way to attack this pile was to move the entire pile to my bed nearby. 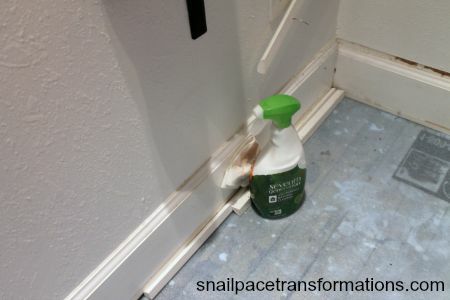 I then cleaned the dust off the baseboards with seventh generation all purpose cleaner. I love that it is pretty much fume free – a definite must for this migraine sufferer. In the end, this is all that went back into the area. It is a box full of old bills that I just didn’t feel like doing right now, but I will spend an hour in front of the TV one night and deal with them then. I really should buy a shredder, right now I rip up all paper by hand, and it is very time-consuming. 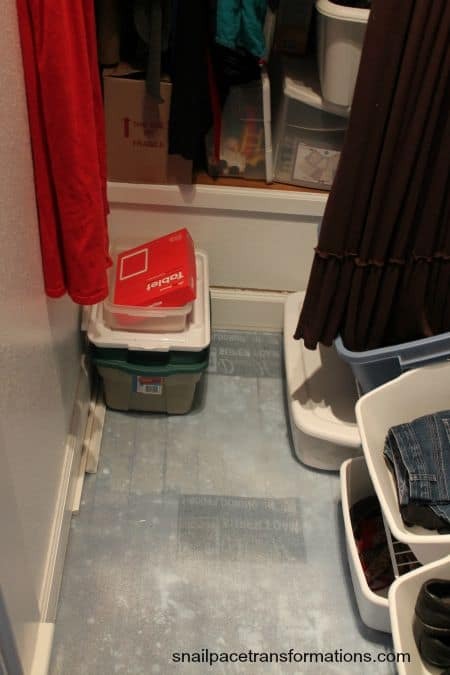 Oh and if you wonder why our closet has no flooring well, we borrowed it for our son’s room that we created out of what was our homeschooling room. 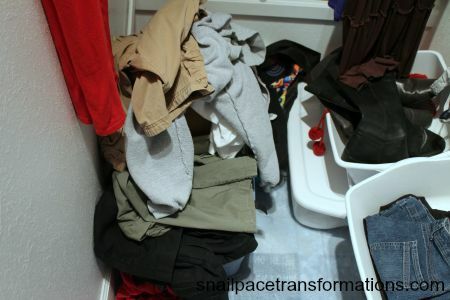 When we took out the cupboards that room needed more flooring our closet seemed like the best place to borrow it from. We plan to put down some other type of flooring soon. Excellent progress. Bedrooms take forever!